A high-quality-stimulus is crucial to the validation and characterization of today’s high-speed transmission systems. 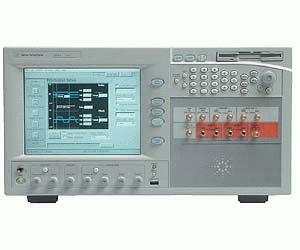 The new 81141A 7 and 13 GHz serial Pulse Data Generators provide what is needed to conduct physical layer tests e.g. precision low jitter signals or full control of data streams for stress tests. Their linear delay modulation is essential for jitter tolerance and jitter transfer measurements. The new 81140A Series enables reliable physical layer measurements for high-speed bus designs and for scientists conducting fundamental lab research. Versatile, highest quality pulse and data signals.